Description: The method of neural-fuzzy control of energie of electrons for accelateur linear, based on application of neural network and fuzzy controller , is examined. Possibility of adequate description of objects by the neural models got on this method is shown. Results of modeling loud allowing to draw conclusion about efficiency of application of offered approach in the digital control system by accelateur linear. 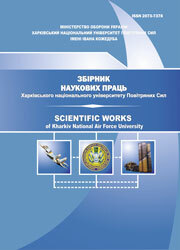 Dibe, G., Udovenko, S.G. and Shamraev, A.A. (2009), “Neiro-nechetkii tsifrovoi reguliator energii elektronov lineinogo uskoritelia”, Scientific Works of Kharkiv National Air Force University, Vol. 3(21), pp. 108-112.